Nordic telecom operator Telia has struck a deal to take control of Bonnier Broadcasting, owner of Swedish commercial broadcaster TV4 and Nordic pay TV channel provider C More for SEK9.2 billion (€890 million). Telia said the move was in line with the strategy adopted by the Board in 2014 to create a new Telia Company with the Nordics and Baltics as a base, in which TV and content are important parts of the company’s offering to its customers. The acquisition comes after a four-year period in which Telia has focused on building its own TV distribution business. The company now provides TV services to 1.8 million homes in Sweden and Finland and last year acquired exclusive rights to the Finnish ice hockey league, the Liiga. The telco said that the acquisition would be facilitated via a new business unit that would be a separate entity within Telia. 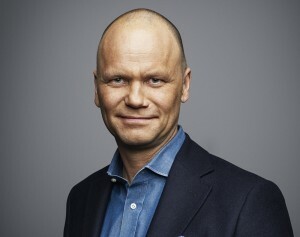 The company said that Bonnier Broadcasting CEO Casten Almqvist would become CEO of the new business area. Commenting on the deal, Almqvist said that Telia’s acquisition would provide Bonnier Broadcasting with new opportunities to extend the reach of its programmes and services to users in Sweden and Finland. Telia said that it would extend its own ethics and compliance framework to ensure continued editorial independence within its new broadcast assets. Telia’s emphasis on its support for Bonnier Broadcasting’s editorial independence reflects the political sensitivity of the deal. The Swedish state is Telia’s biggest shareholder with a 37% stake. The acquisition will therefore give the state an indirect stake in the country’s major commercial broadcaster alongside its ownership of public broadcaster SVT. TV4 provides a range of advertising-funded channels as well as the advertising-supported Fotbollskanalen and Köket services, alongside pay TV outfit C More, comprising a streaming service and a range of linear pay TV channels. The group also owns Finnish commercial broadcaster MTV and C More Finland. Bonnier Broadcasting generated revenues of SEK7.5 billion in the year to March, and EBITDA of SEK600 million. According to Telia, the acquisition price represents an EV/EBIT multiple of 15.4, or 7.7 including full run-rate synergies. Telia said it expected to generate synergies of SEK600 million from the acquisition in 2022. “It is a very important day for Telia Company. The acquisition is a natural next step to complement Telia Company’s core business, where our millions of customers give us a very strong position in the market. Together with TV4 we will serve customers and viewers in new ways and create new business opportunities,” said Johan Dennelind, President and CEO of Telia Company. Telia’s acquisition of Bonnier Broadcasting follows its agreement to acquire Danish telco TDC’s Norwegian assets earlier this week. Telia’s strategy of merging distribution and content assets at a pan-Nordic level closely resembles the strategy abandoned by TDC following its acquisition by Macquarie. The Danish telco had struck an agreement to acquire Bonnier’s Swedish rival Modern Times Group’s free and pay TV assets prior to agreeing its own sale to Macquarie. Subsequently TDC has pivoted to focus exclusively on its Danish fixed and mobile infrastructure business. 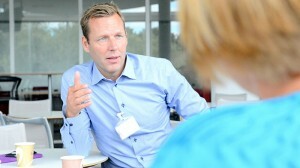 Telia was linked with Bonnier Broadcasting in May, signalling the telco’s new interest in entering the content space. The acquisition is the latest in a series of big changes in the Nordic TV market, which has seen MTG move to split its business in two and Swedish mobile telco Tele2 acquire cable operator Com Hem.